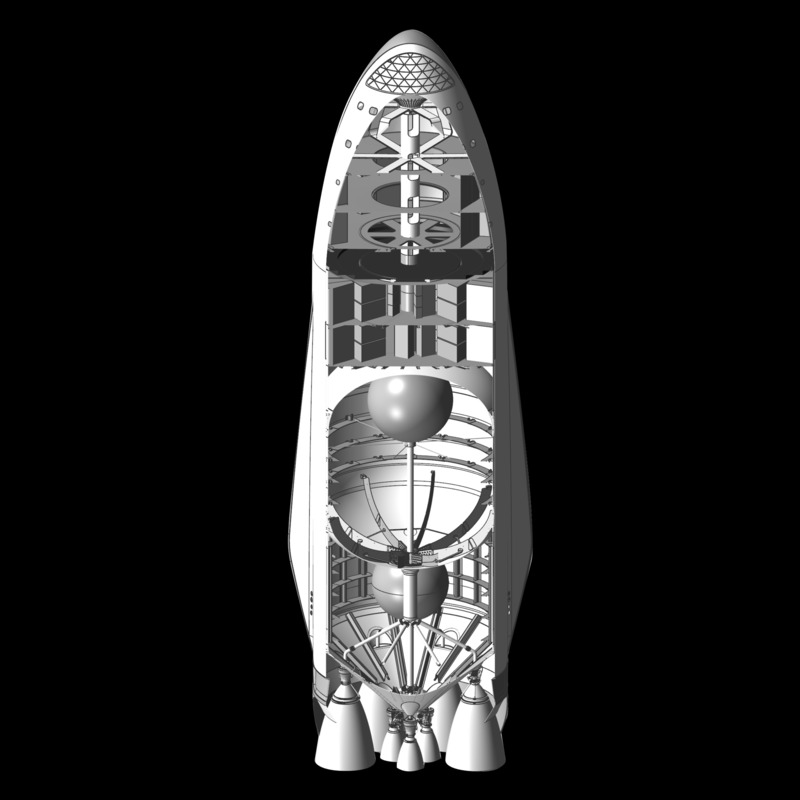 How do I design a spaceship? 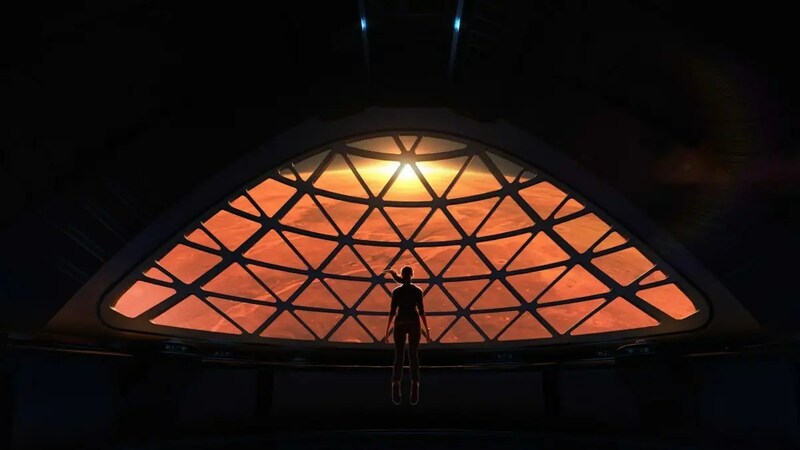 On September 27, Elon Musk laid out his audacious plan to launch a million people to Mars at $200,000 a ticket and save humanity from certain death on Earth. But in sharing detailed images of giant rockets, spaceships, fuel pods, and other crucial components of his Interplanetary Transportation System (ITS), Musk left out some important stuff, including where he plans to fit 100 to 200 passengers on each trip to the red planet. 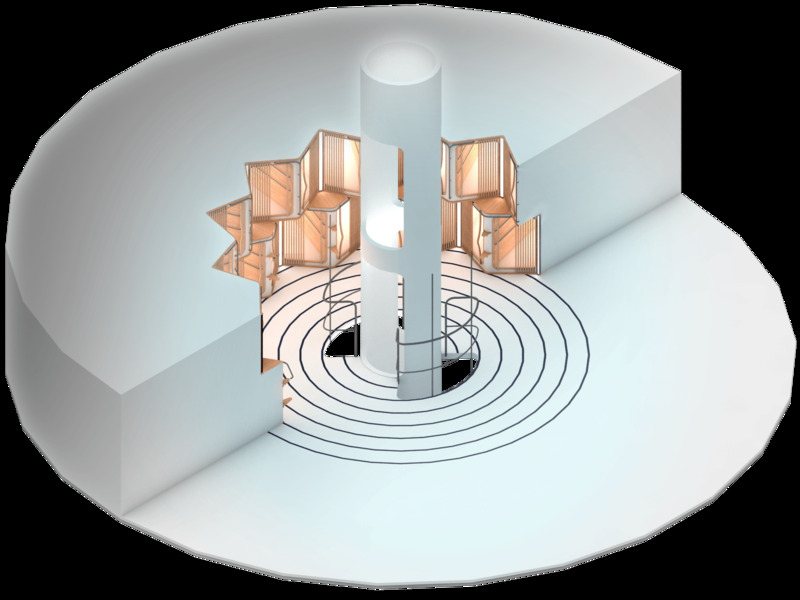 “Will aim to release details of the habitation section when we have actual live mockups. Maybe in a year or two,” Musk wrote. 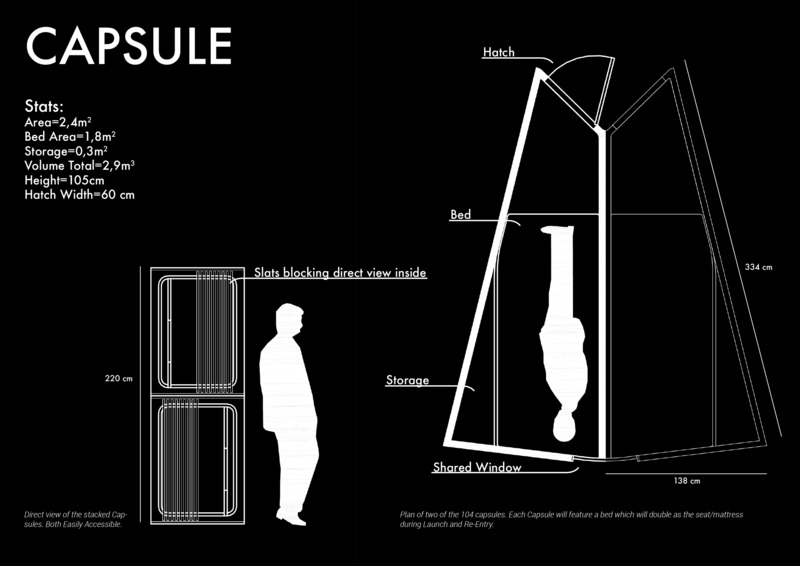 In the vacuum of information, architectural student Philip Lütken (who goes by user Next-Lvl) designed a concept for the spaceship’s interior himself. 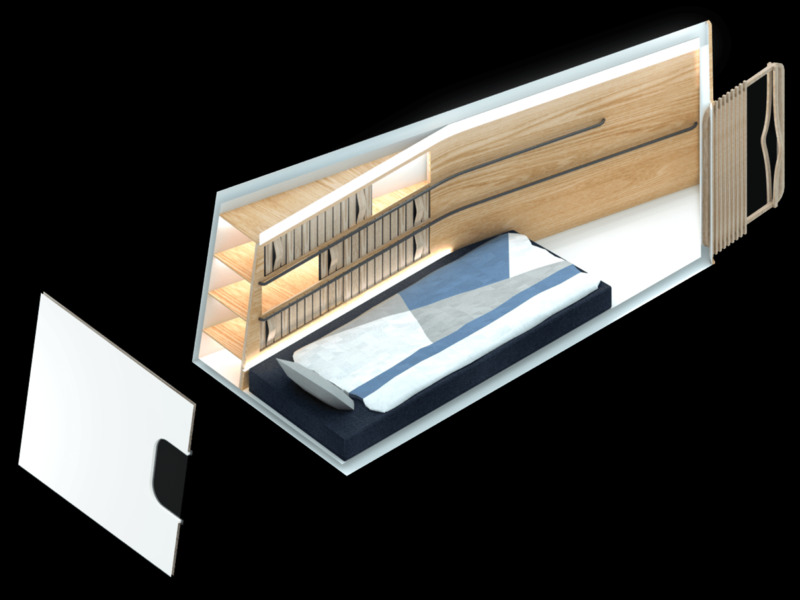 Here are Lütken’s intricate renderings of the ITS spaceship’s living quarters, which he gave Business Insider permission to republish, following some basic information about SpaceX’s hypothetical vessel itself. 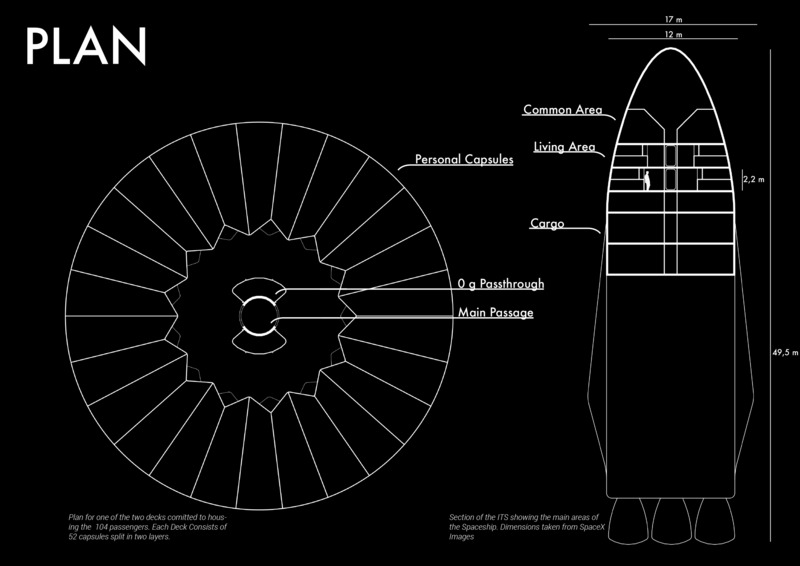 To give a sense of scale, here’s how big Elon Musk envisions his Mars rocket, plus the spaceship on top. 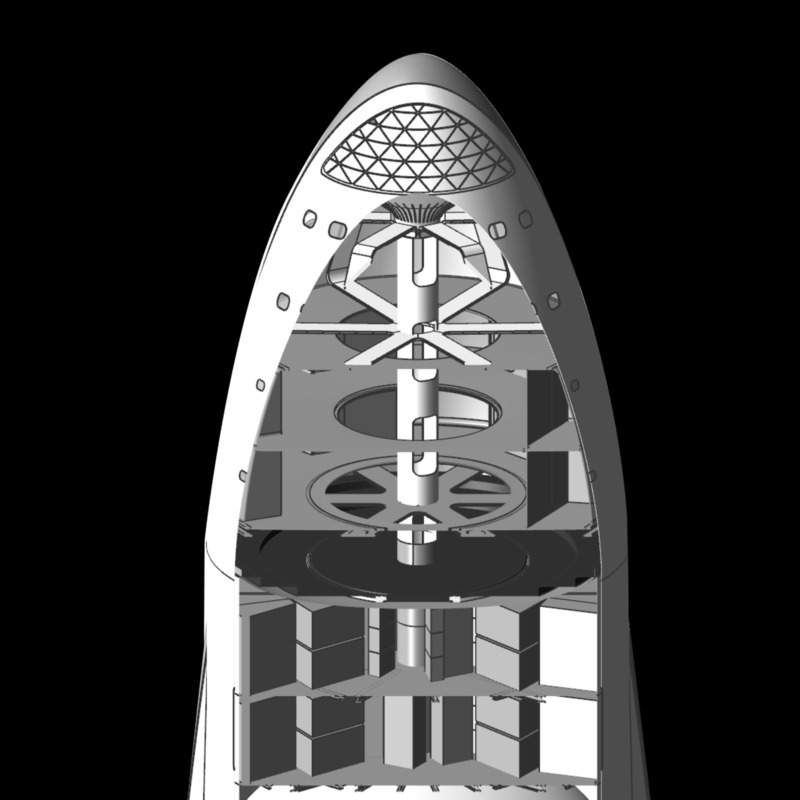 This is a cutaway of just the spaceship, which Musk prefers to call the “Big F***ing Spaceship.” It would stand more than 160 feet tall — halfway up the Statue of Liberty. And here’s a zoomed-in view of the habitable section, including a cargo hold at the bottom. 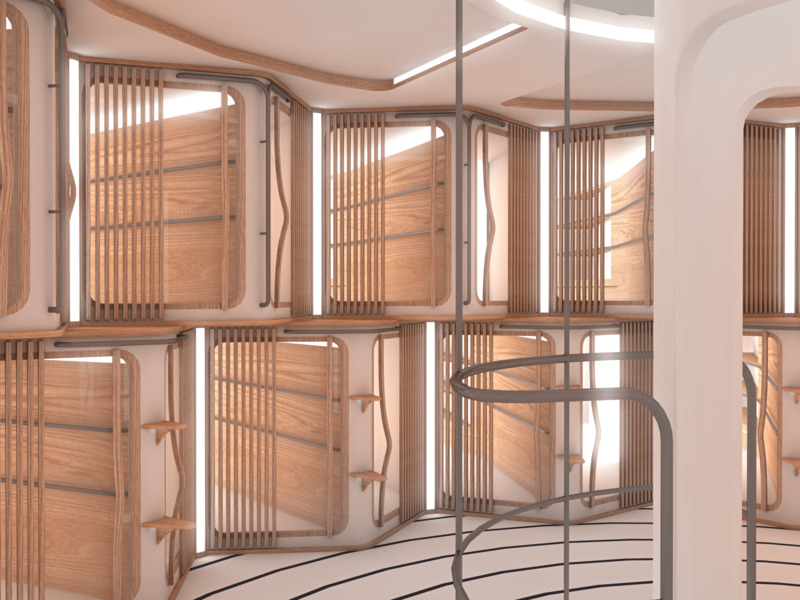 A fly-through of the habitable section starts in the cargo hold, zips up through the living quarters, and ends in the giant-windowed common area. 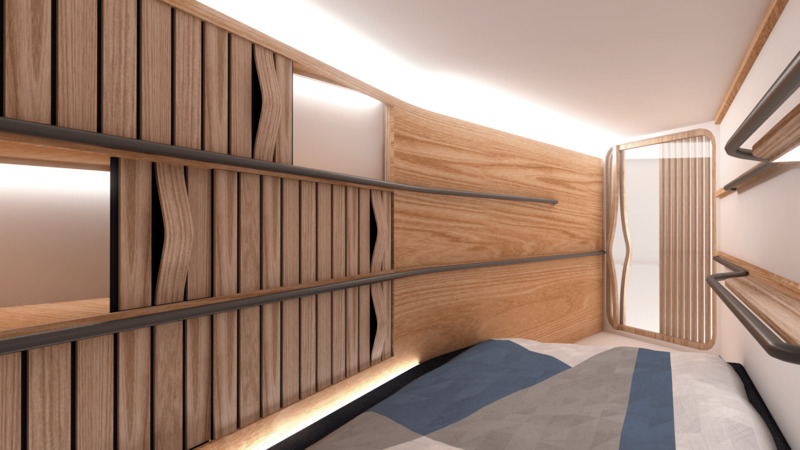 The interior is pretty much a blank slate. So Lütken decided to take a crack at it. 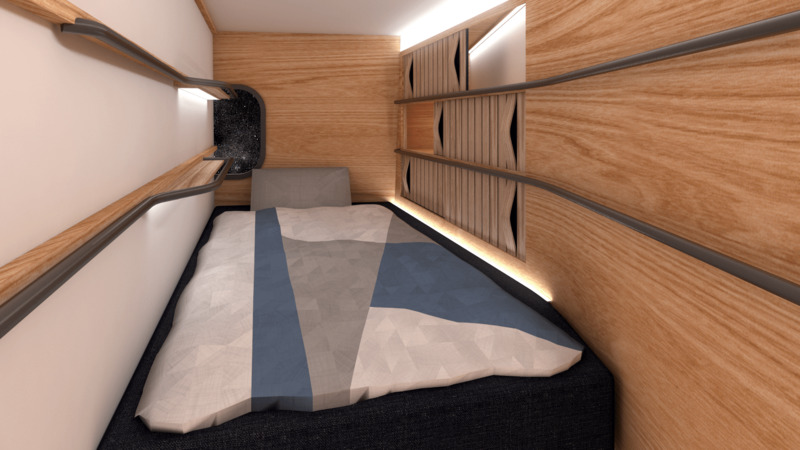 He measured out each part of the habitable section and figured out how to fit at least 100 people — which Musk says is necessary to hit $200,000 per one-way ticket.